Over the years, many Bigfoot researchers have come forward with recordings of alleged Bigfoot vocalizations; most notably, the unique recordings from Al Berry and Ron Morehead. These recordings are thought to be conversations between several Bigfoot from an area in the Sierra Nevada's. The question asked by so many, does Bigfoot have the capability to have a spoken language? Unfortunately, until a Bigfoot can be physically studied, that question cannot be answered definitively. For a hominid to have the capacity to speak several physical characteristics must be present specifically the presence of the Hyoid bone. The Hyoid first appeared in the fossil record some 800,000 years ago. The differentiation of the Hyoid between modern humans, Neanderthals, and the great apes suggests why we can speak and the great apes only vocalize. The Hyoid and larynx of Neanderthals are almost identical to modern humans. 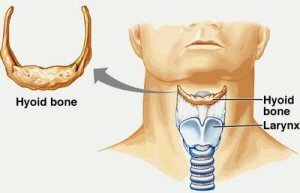 The Hyoid Bone is a horseshoe shaped bone that is located above the larynx (the larynx sits on top of the trachea). 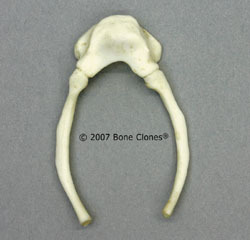 This bone is unique from the other bones in our skeletal anatomy because it is not attached to any other bones. It is suspended in muscle tissue, similar to a piece of fruit in jell-o. The Hyoid provides an anchor point for the muscles of the tongue as well as those in the upper part of the front of the neck. The shape and location of the Hyoid in our body is what gives humans the ability to speak. When human babies are born, the larynx is positioned very high. This is what allows infants (up to about 3 months) the ability to breathe and eat at the same time without choking. The larynx then drops lower into the throat, which lowers the Hyoid, and continues during the early juvenile years. The decent of the Hyoid is relative to the lower jaw and cranial base. Chimpanzee babies have descending Hyoids as well, but this ceases after about 2 years of age. In general, humans are the only animal in which the Hyoid is in the right position to work in unison with the larynx and the tongue, enabling us to speak. If Bigfoot as a primate has a language in a verbal sense, then they would need to be equipped with these anatomical features, in theory. One aspect in the anatomy of great apes is intriguing; it's the laryngeal air sacs (located in the throat). Humans lack these air sacs and humans lack the Hyoid with the pronounced “cup shape” in the middle. The combination of air sacs and Hyoid shape in the great apes is very distinctive in comparisons between humans and apes. In a paper published by the University of Amsterdam, “it is proposed that an air sac would reduce the ability to produce distinctive speech, but would enhance the impression of size of the vocalizer.” With the presence of air sacs in great apes, lower frequency sounds and a smaller acoustic range is the result. They are capable of making louder percussive, booming noises. 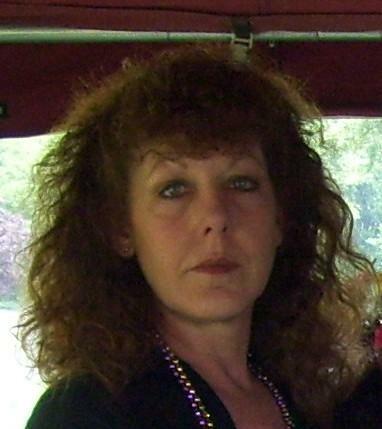 Witnesses have reported very loud screams, roars and other various vocalizations from Bigfoot. Witnesses have also reported and recorded alleged speech from them. The possibility does exist that Bigfoot could, in fact, have a hominid shaped Hyoid and vocal tract-way, as well as, air sacs. The evolutionary process could have resulted in this combination. This could account for witness accounts of both speech and extremely loud, intense vocals. Data or physical evidence related to the physiology of Bigfoot does not exist. To date, we don't know anything definitive about them, which would include their skeletal structure, gestation period and mortality. At this point, anything is possible and slightly less probable.